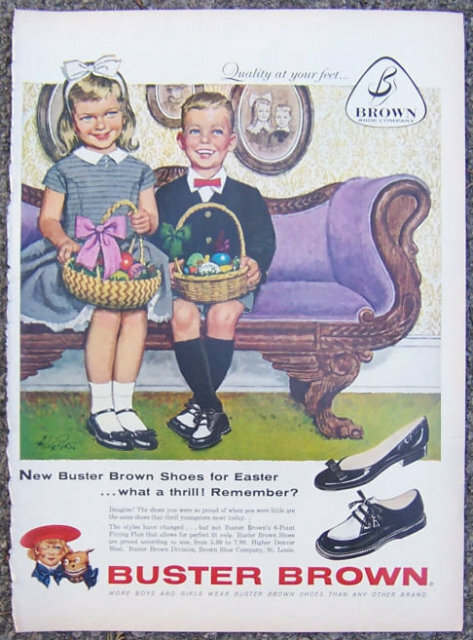 1959 Buster Brown Shoes For Easter Life Magazine Advertisement. Ad is Signed Alex Ross. Quality at Your Feet. Ad is 13 1/2" high and 10 1/2" across. Very Good condition. Suitable for framing.